It’s the way it hustles and defies physics is what makes it so much fun. 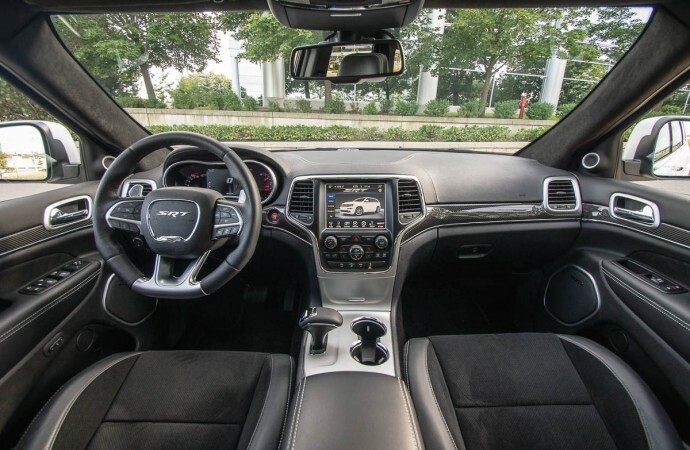 The Jeep brand has been known for a great deal of things, one of which is creating some of today’s most capable off-road vehicles. Considering today’s ever-increasing demands on premium features and luxury, cars like the Wrangler fly in the face of convention by more-or-less sticking to an original formula. 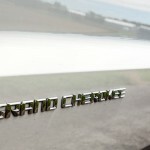 Things like live-axles and locking differentials are quickly disappearing from the marketplace, but the Jeep nameplate soldiers on with their unique identity. 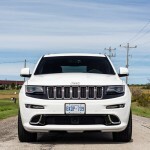 Even as the Cherokee changes to fit a newer demographic, it still maintains some semblance of what a legitimate off-road vehicle should be. 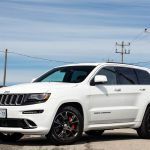 On the other end of the totem pole, the Grand Cherokee has evolved into more of an on-road cruiser that manages to maintain some of the famous Jeep off-road credentials. It’s no body-on-frame truck, but differential locks are available as options. 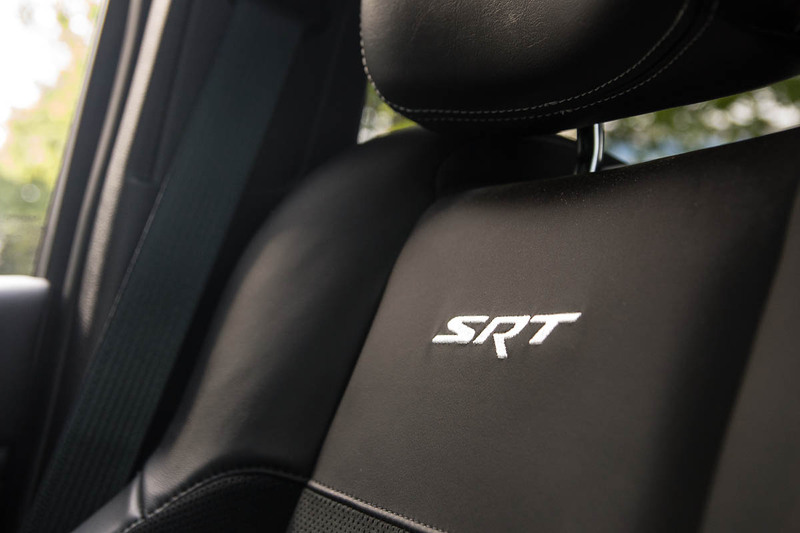 The SRT brand (Street & Racing Technology) has dabbled in and around the Chrysler (now Fiat-Chrysler) group for several years now, stuffing the largest, most powerful motors they could find into pretty much the entire model lineup. The current Jeep Grand Cherokee is one of their most versatile products, starting with a gasoline and diesel V6 to a set of gasoline V8s. 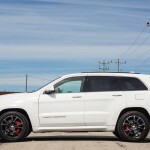 The SRT version of the Grand Cherokee takes the largest V8 and adds a ton of legitimate go-fast parts that really interest me. Hyper-trucks (as I like to call them) shouldn’t make sense. The traditional notion and image of what a truck should be defines them to be workhorses, carrying payloads, towing trailers, and doing some mudding (though not necessarily all at the same time). 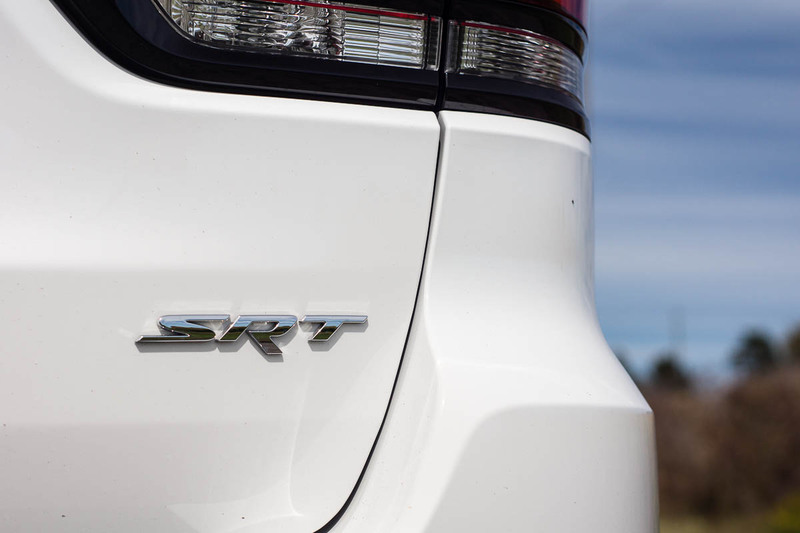 A truck that excels on the tarmac defies all those conventions. In the real world though, sometimes it’s the things that don’t make sense, that end up getting your attention. Does a track-focused Jeep make any sense? 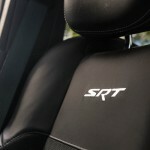 Time to find out if all the SRT goodies added to the Grand Cherokee make it special. 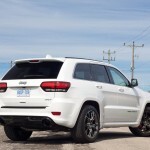 The Jeep Grand Cherokee in its current generation has always been a fairly handsome truck – inoffensively styled and just the right size – if you’re looking for a two-row utility vehicle. 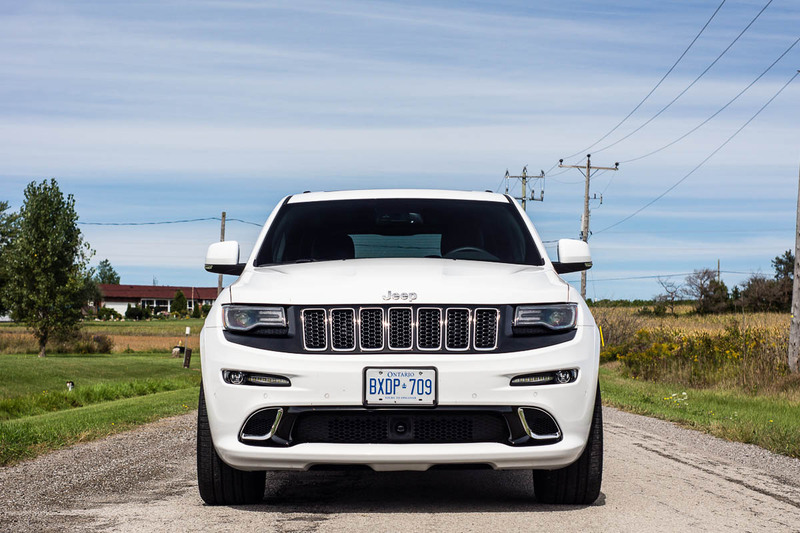 The trademark Jeep seven slat grille makes another appearance, and the mostly squared-off design is rounded off in all the right places. 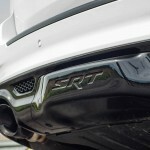 The SRT, in particular, adds a lot of blacked out trim (the headlights and taillights are slightly tinted) all around. 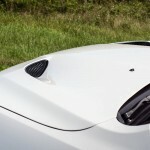 Functional heat extractors on the hood remove energy from under the hood (and are great at keeping hands warm). The grille surround is also blacked out, and provides a great contrast on the “Bright White” paint my tester had. 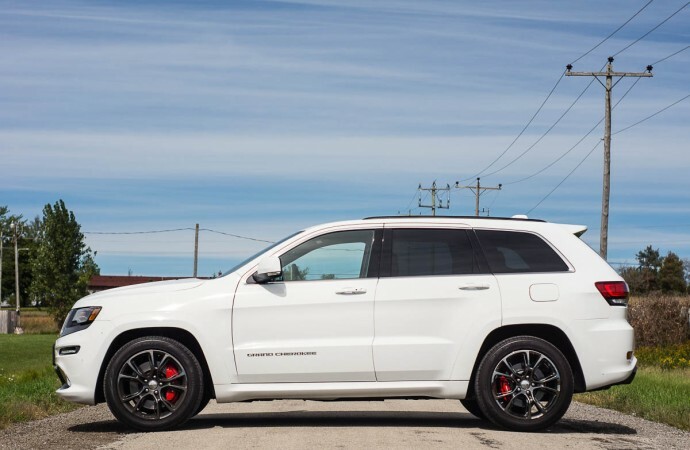 Some even go as far as describing the Grand Cherokee SRT, particularly in Bright White, as looking almost like a Star Wars Stormtrooper. 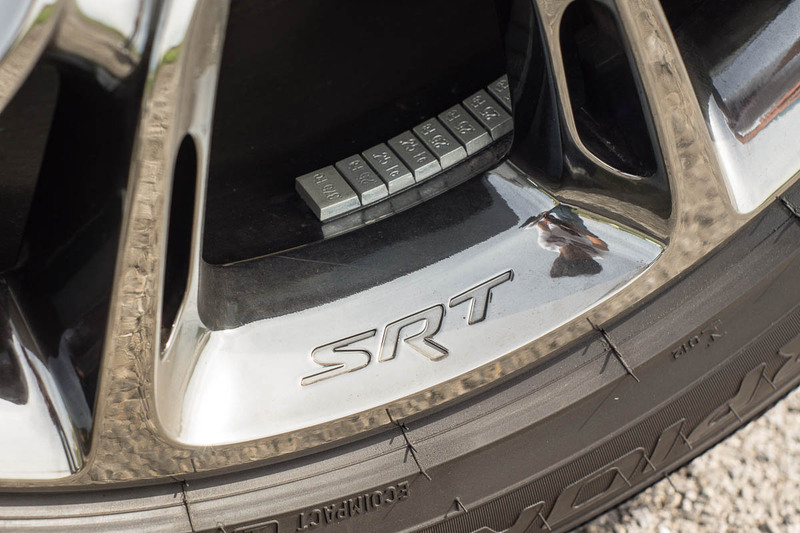 Large 20-inch wheels (in a dark chrome colour) continue the theme of big contrast on the Grand Cherokee SRT. 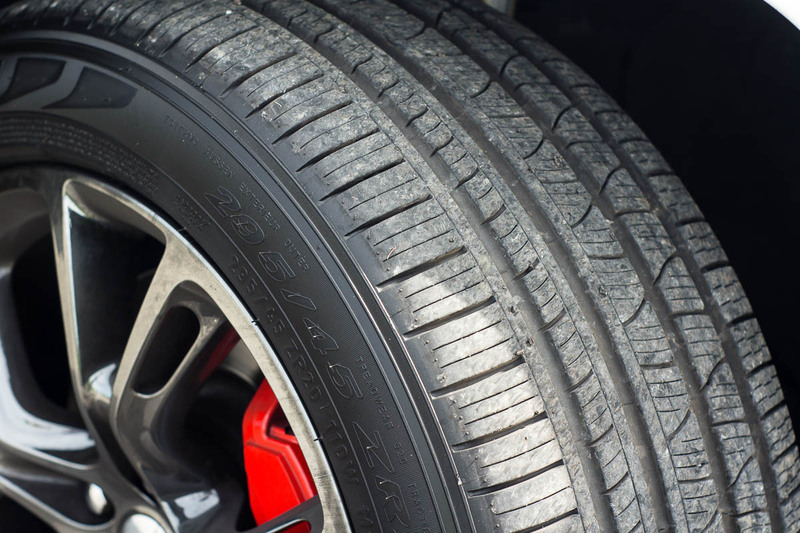 295-section performance all-season tires are wrapped around these wheels, and it’s worth noting that all four wheels and tires are all the same size at all four corners. Staggered setups are commonplace nowadays, but for the most agility and lateral grip, it’s often best to run the same size at all four wheels. 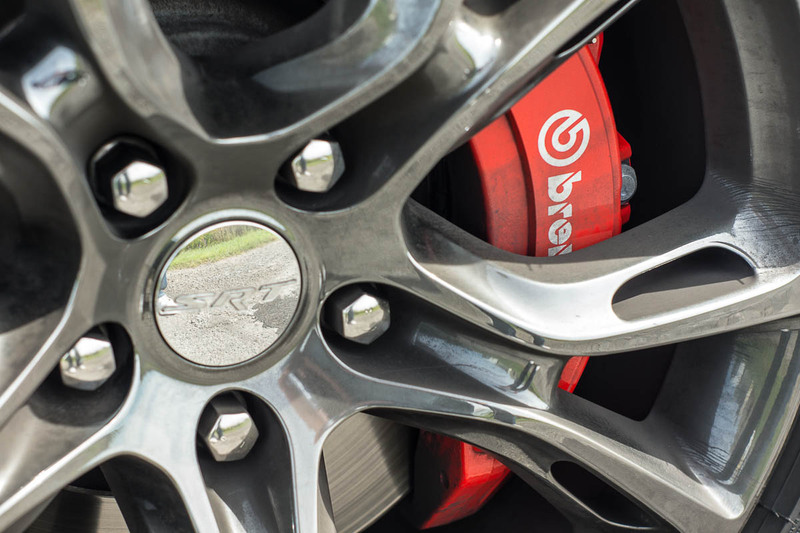 Filling up those wheels is a Brembo big brake setup – it is more than adequate at hauling down the approximately 2300kg truck down to a stop in a hurry. What I think I like the most with the wheel and tire package is the huge amount of negative camber dialed in from the factory. 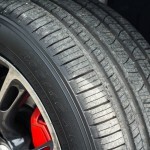 Just eyeballing it, I would estimate there to be around -1.5 degrees of camber in the front wheels. More aggressive alignments (where negative camber is involved) typically produce better turn-in response, at the slight expense of tire treadlife. 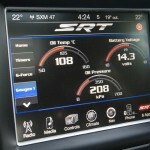 This is a serious performance machine, with the right configuration to take advantage of all the serious hardware. 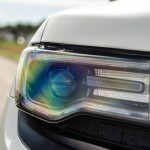 Negative camber in a truck – who knew?! 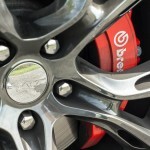 Hiding behind the wheels are a set of adaptive dampers. 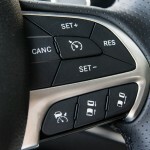 Ride quality in the default “Auto” mode is good, but I wouldn’t call the ride cushy, like it is with the “standard” Grand Cherokee. 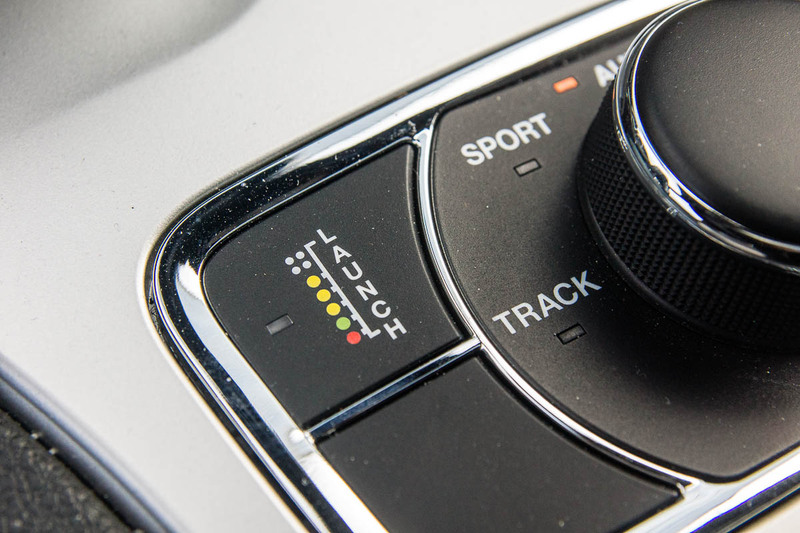 The ride is relatively firm – turning the dial to Sport or even the Track setting verges on being too stiff for typical driving on the street. It’ll be great for actual track settings – body roll is dramatically reduced and grip from the huge tires is straight-up surprising. 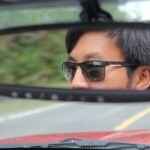 I had some time to check out the roads in Niagara’s wine country, about 90 minutes outside Toronto. 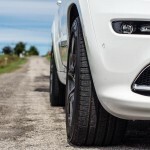 The long straight sections allowed the 6.4L Hemi engine stretch its legs, but the twisty sections allowed me to see how this truck defies physics. Turn-in is surprisingly crisp and responsive, and it’s possible (at times, downright easy) to carry a lot of speed into a cambered corner. The three-season Pirellis on this truck are sticky enough, but dedicated summer rubber (massive tires, at that) will help even more. Under the hood lives the corporate 6.4L Hemi engine, good for 475hp and 470lb-ft of torque. 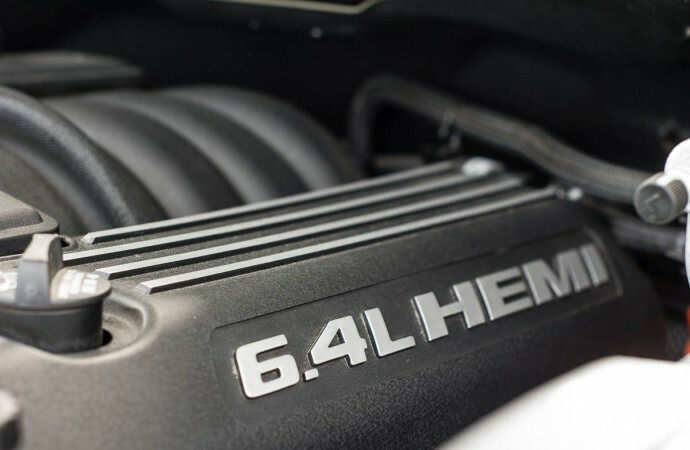 There’s a significant difference in the way this engine produces its power. 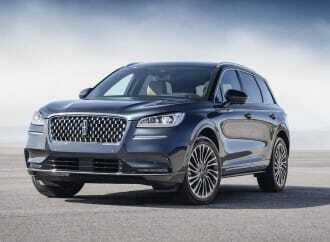 It is a fairly conventional V8, with an iron-block design and pushrods actuating 16-valves in total. A lot of the spec-sheet racers we all know and love on the internet will claim that this “old-school” technology is inferior to the newer force-fed V8s from BMW and Mercedes-Benz, for example. 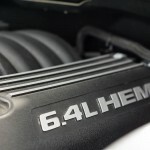 The fact of the matter is that this engine in the Grand Cherokee SRT is just different, and comes with its own advantages. The first, and most obvious one, is the sound. 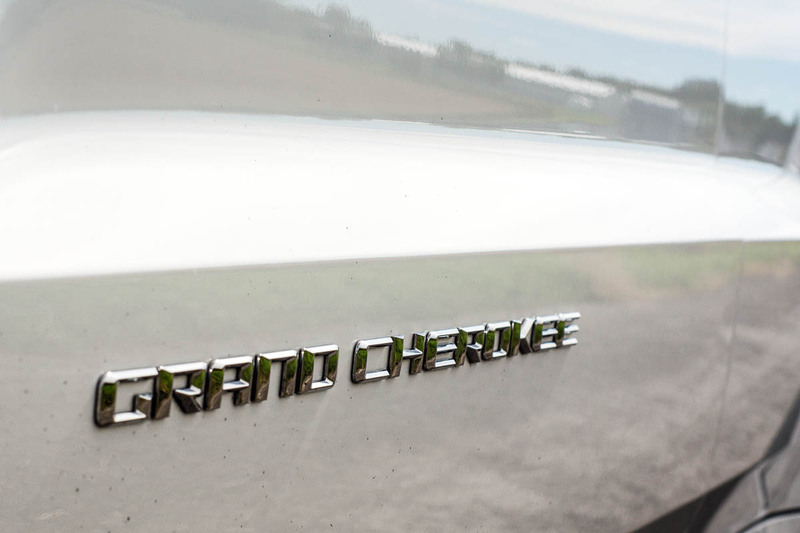 The big 6.4L engine under the hood emits an all-American rumble, and almost defines how a V8 should sound. 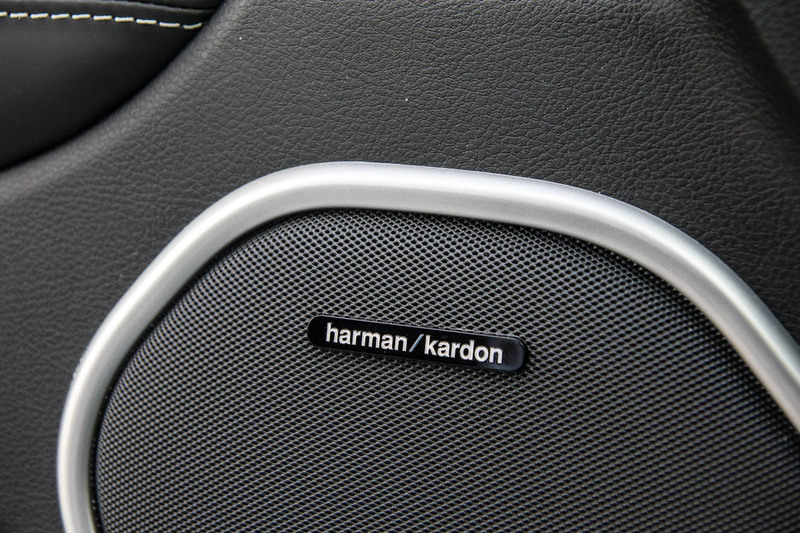 There’s no synthetic sound here – it simply sounds great. The BMW X5M I tested a few months ago, on the other hand, sounds quite different, with two turbos in the exhaust stream. 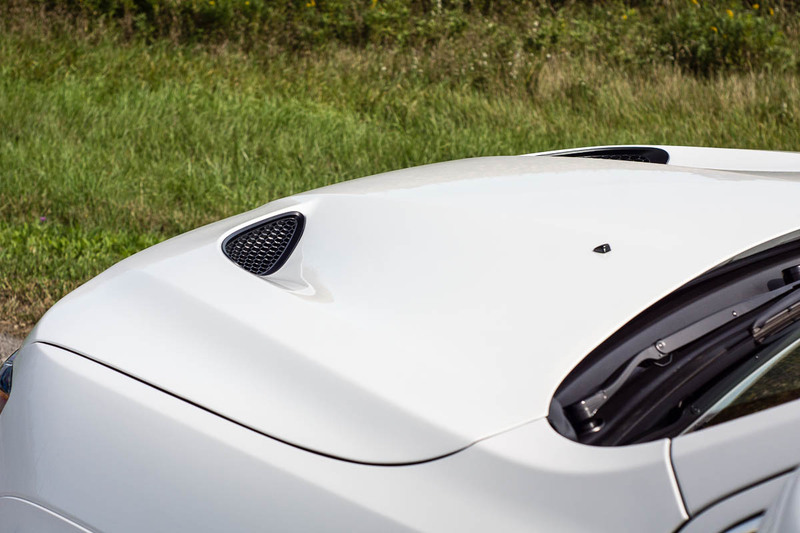 It is naturally a quieter V8, and a lot of the sound the driver hears actually comes through the stereo. There’s none of that trickery here. 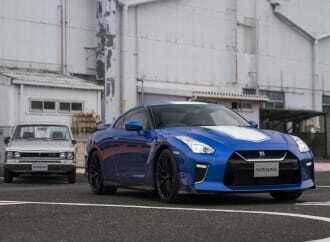 The second advantage is that it is naturally-aspirated. 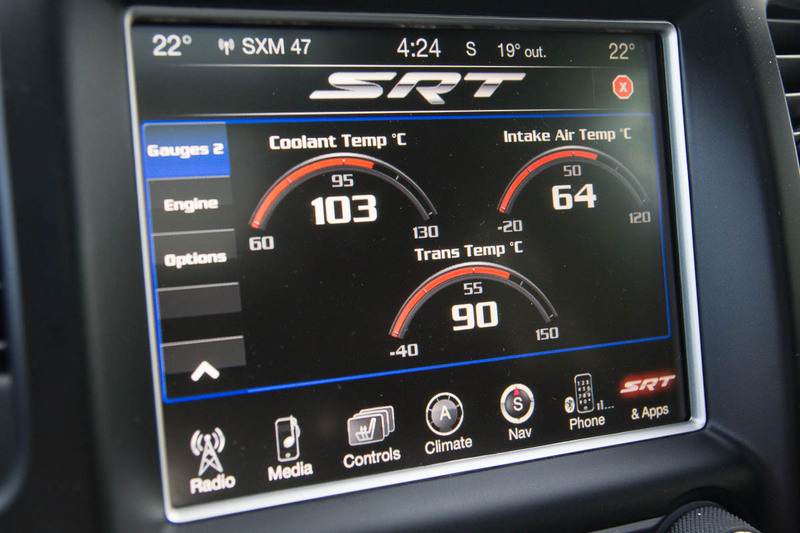 This means there isn’t any turbo lag or delayed response while you wait for the forced-induction to do its thing. 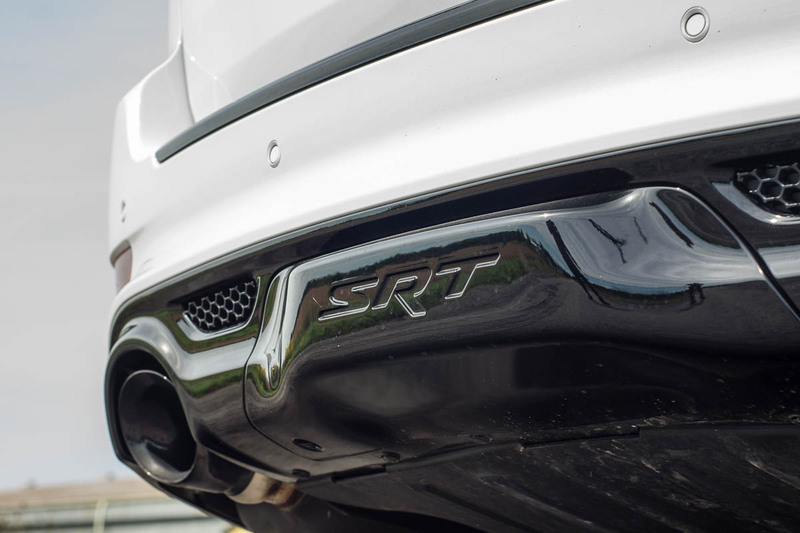 Power delivery is strong right off idle, all the way up to redline, but it doesn’t benefit from the flat torque dyno curve seen in the X5M – you have to wind this engine out a little bit to get to all the horsepower and torque. This isn’t a bad thing, as you’ll be doing it often just for the V8 rumble. 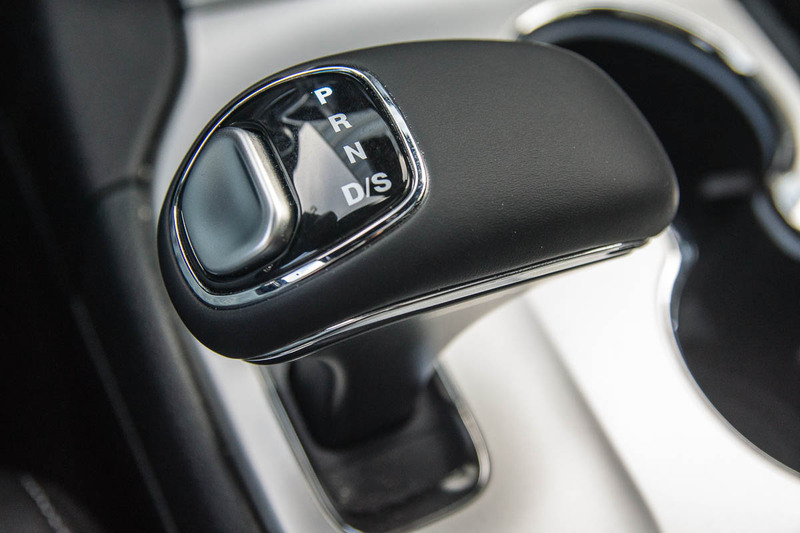 This engine is paired up to ZF’s renowned 8-speed automatic transmission. 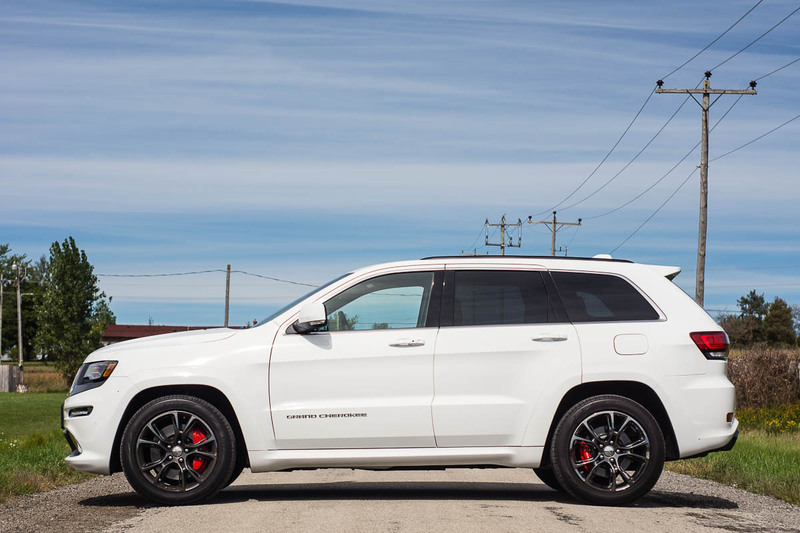 Built and tuned by Chrysler, this transmission allows the Grand Cherokee SRT to provide both spirited performance and relaxed highway cruising capabilities, all in one package. 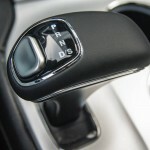 First gear is short for a quick launch (it has to be, to move all that weight). 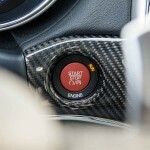 There’s a launch control button on the centre console, complete with a Christmas tree – just like at the drag strip. 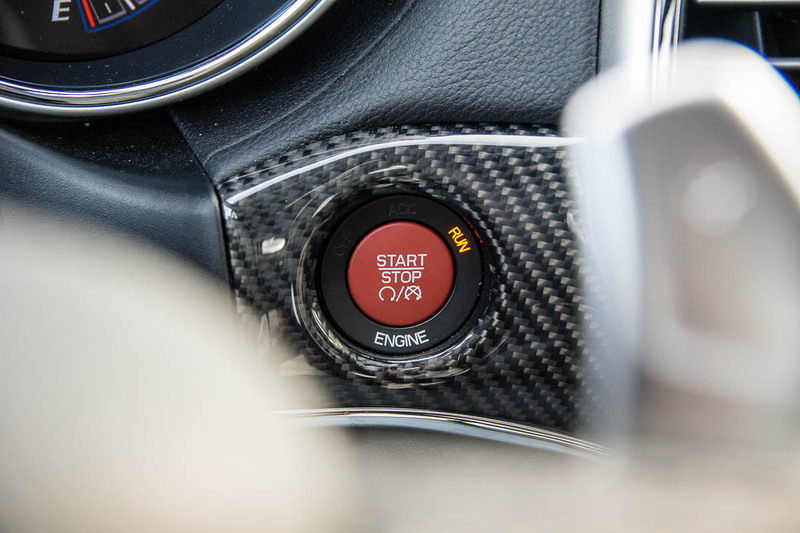 Pressing this button reconfigures the transmission mapping for just the right amount of engine revs and the quickest gear changes, for the fastest possible (drama-free) getaway. 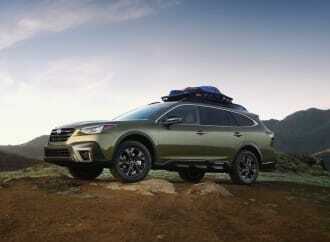 The all-wheel drive system is pre-configured to send more power to the rear wheels through an electronic limited-slip differential (with a 3.70 final drive ratio). 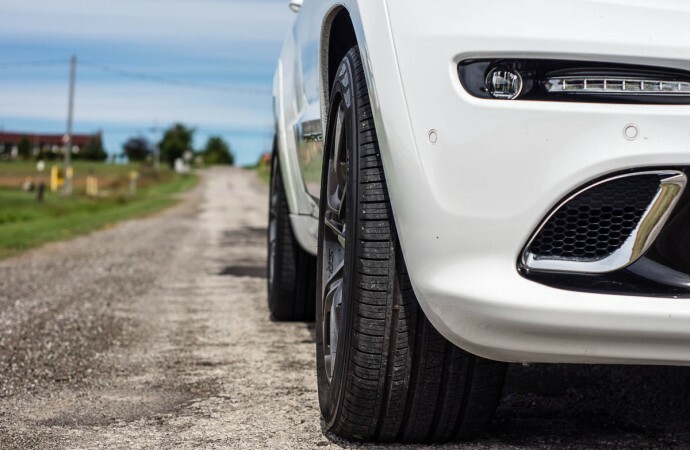 Traction off the line is simply ferocious, considering all the rubber in contact with the road. 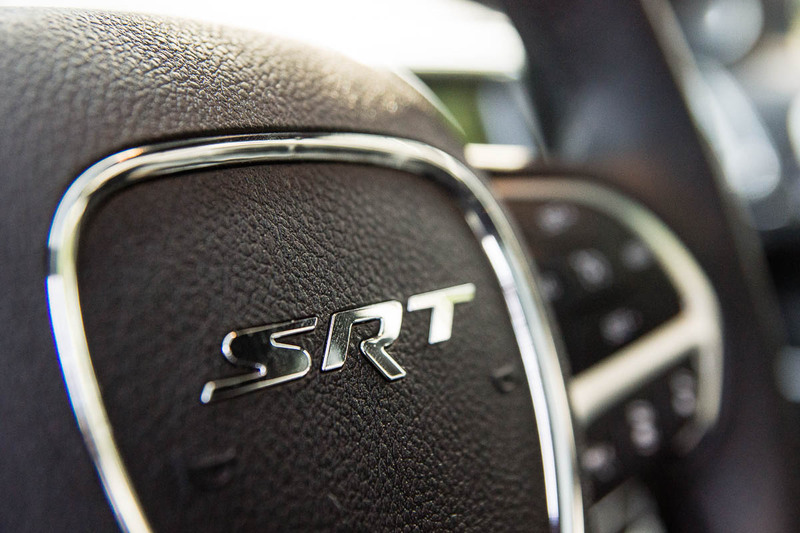 As focused as the Grand Cherokee SRT is on the outside and under the hood, the interior is a great place to be. 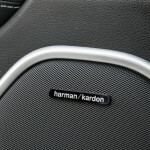 The full-size bucket seats feature a mix of leather and perforated suede, which allows for both to be ventilated. 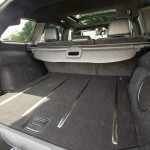 Attached to the back of both front seats, are the available rear DVD entertainment screens. A $2,150 option – they also come with wireless headphones. 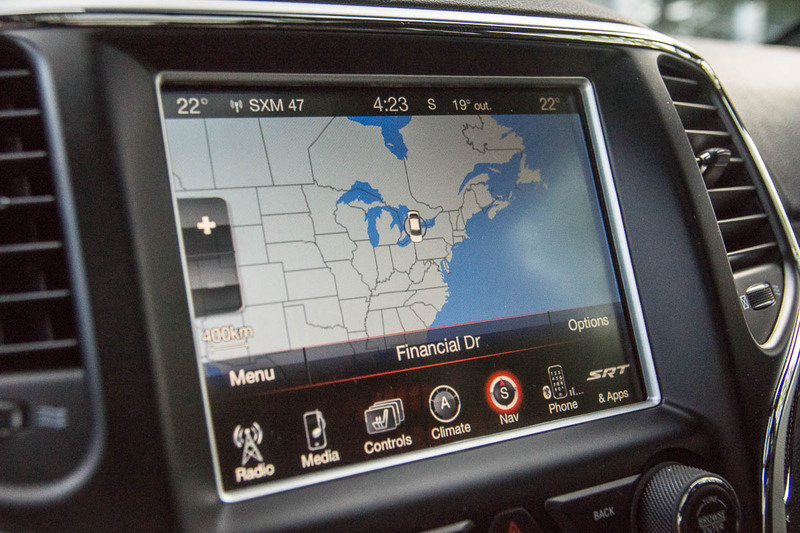 Right up front and centre, the 8.4-inch Uconnect infotainment system is one of the better ones in the business. 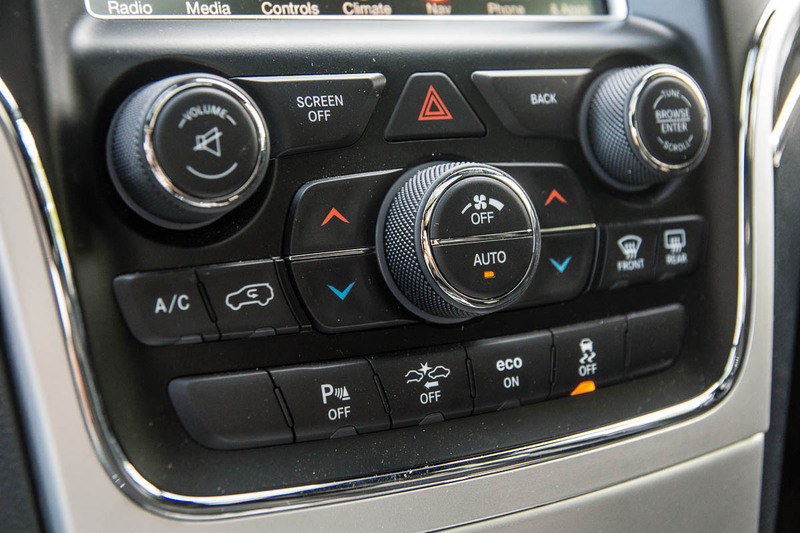 While it integrates satellite navigation, entertainment, and most of the climate control, there are enough physical buttons around the screen to access the most commonly-used options. 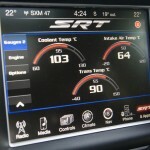 The system is responsive to your inputs, and the menus are fairly easy to figure out. 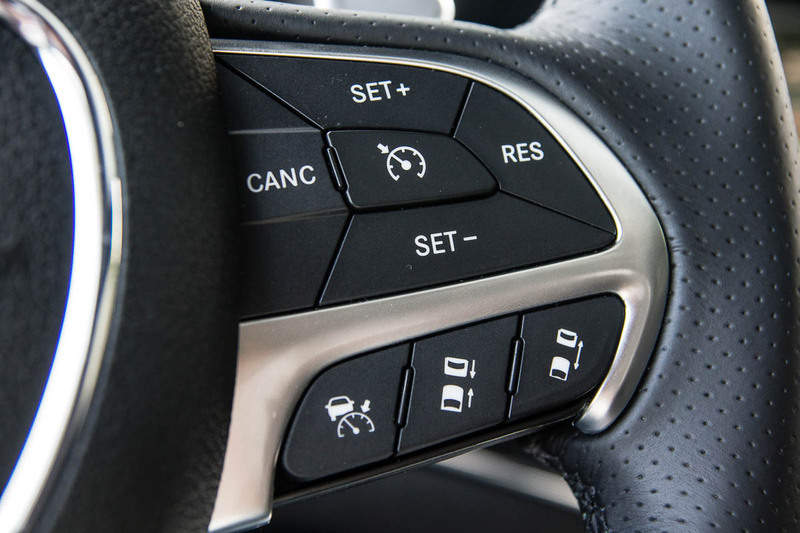 Like some other Uconnect equipped vehicles, the system will allow you to quickly turn on the heated/ventilated seats as soon as the engine is started, and before the rest of the system comes up. It’s a nice touch that isn’t really seen elsewhere in the industry. 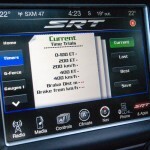 The SRT-specific “Track Apps” also live in the Uconnect system. 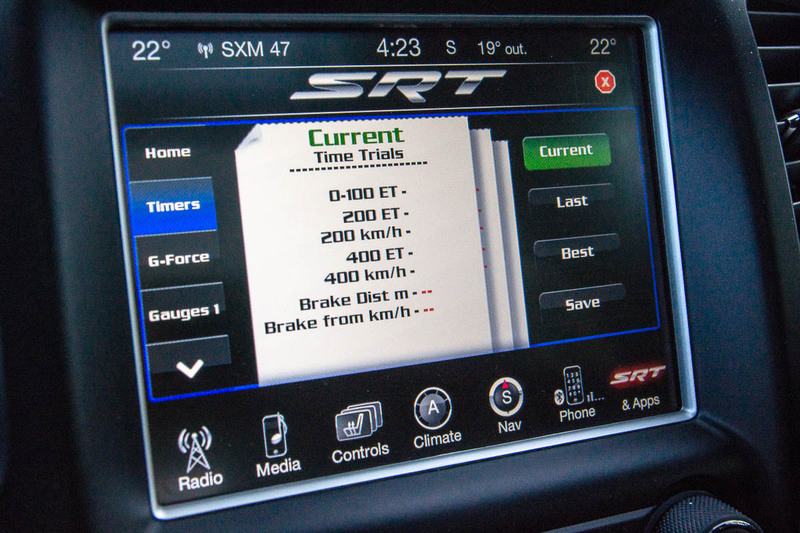 You can load up lap telemetry and temperature readouts for the various mechanical systems in the Grand Cherokee SRT. 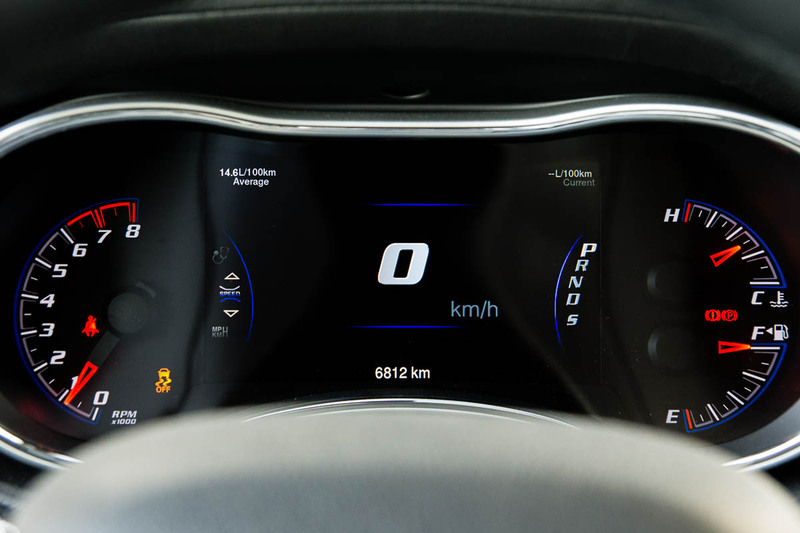 In between the two instrument cluster gauges, is a large 7-inch digital LCD screen, capable of displaying a ton of different statistics. 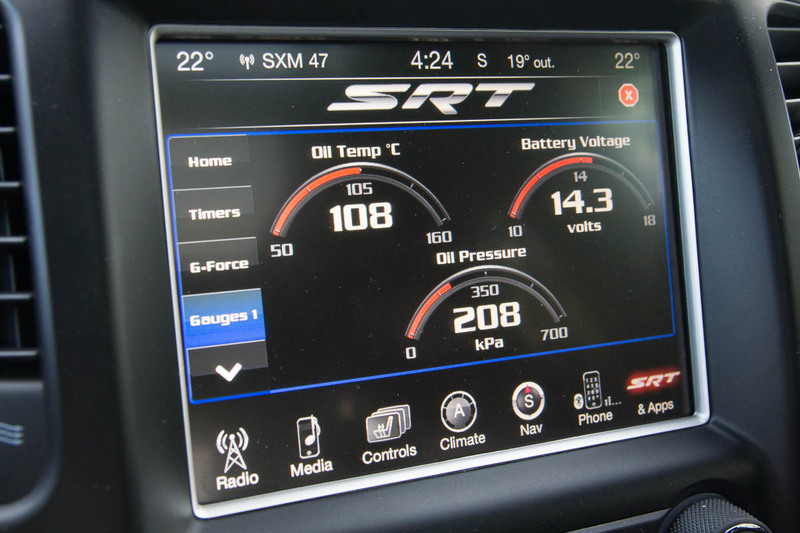 I had it displaying overall fuel efficiency most of the time, because it’s something you’ll probably need to look at – often. 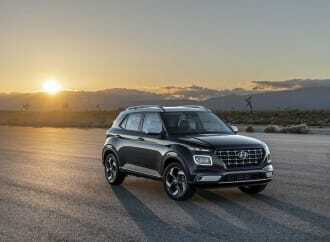 Being so heavy and featuring such a large gasoline V8 under the hood, I expected efficiency to take a second (and third) seat behind overall performance and character. 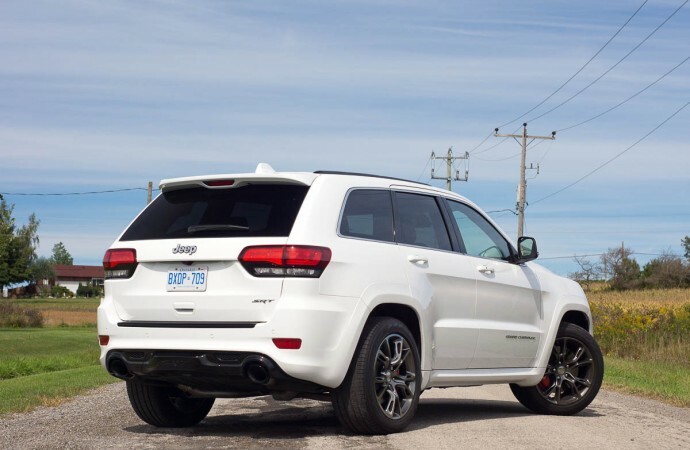 I wasn’t wrong – Jeep rates the Grand Cherokee SRT at 18.5L/100km in the city, and 12.6L/100km on the highway. The thirsty city rating is no thanks to the short first gear, and the large gulf between both the city and highway rating can be attributed to not only the eight gears in the transmission, but also the Multi Displacement System, that disables individual cylinders when under light load at high speeds. 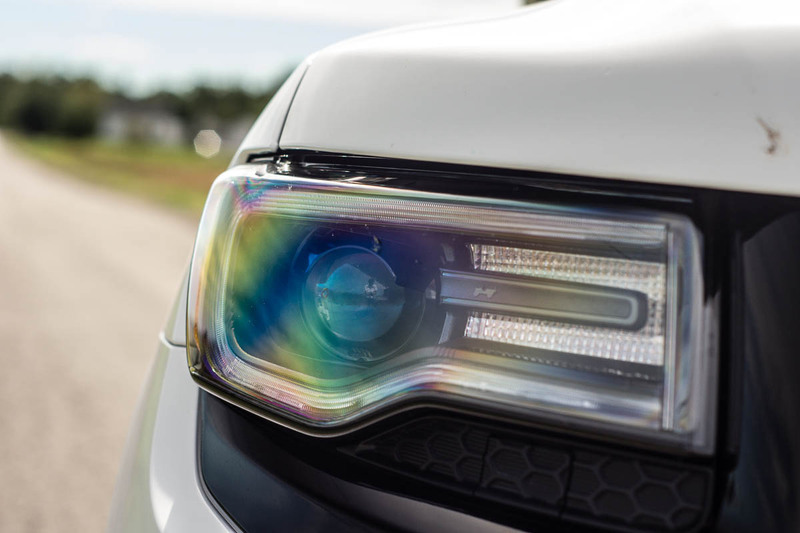 While there isn’t an obvious visual indicator for when the MDS system is engaged, you hear the audible difference in the exhaust note almost immediately. 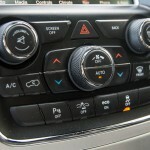 It reminds me a lot of the Active Fuel Management system seen in some of GM’s V8-powered products. 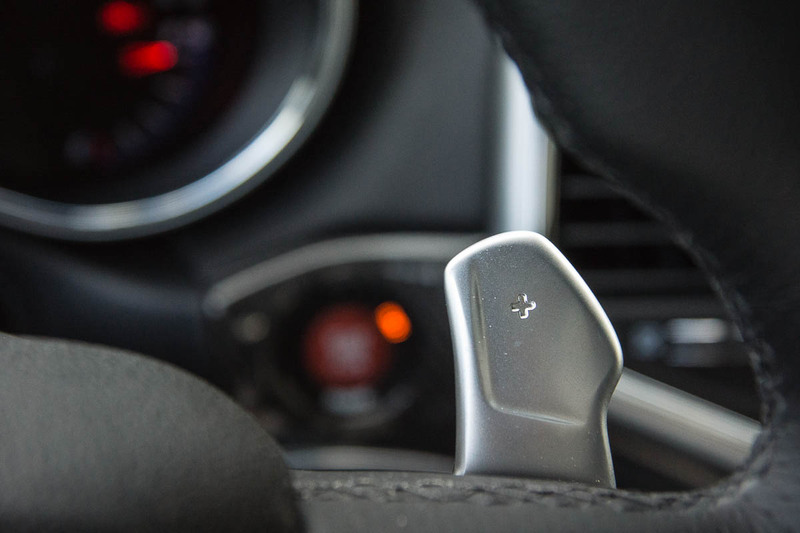 There’s also an “Eco” button that re-maps transmission shift points, reduces throttle sensitivity, and launches the truck in second gear. 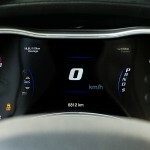 With all the fuel saving technologies and the handy eighth-gear, I managed a week-long average of about 14.2L/100km. 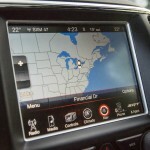 This included a good mix of 40% city driving, with the rest of my week spent on the highway. Premium fuel is required, and the tank will take about 93L. 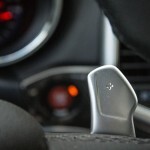 Just like with the BMW X5M, the more you get on the loud pedal, the faster the average number will go up. There are a few hyper-trucks out there today, and having recently reviewed the X5M, I was able to draw a lot of comparisons. 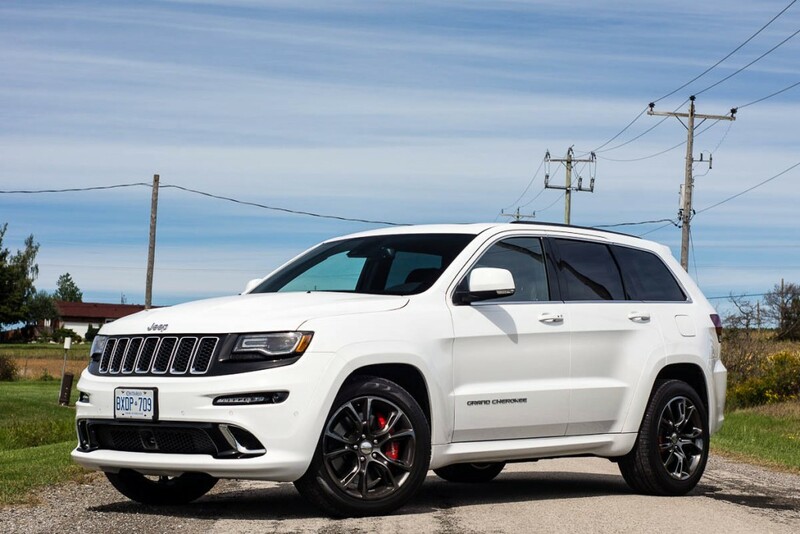 There’s no doubt that the X5M is faster (with its 567hp twin-turbo V8), but after driving the Jeep, I think the Grand Cherokee SRT wins in the sound department. The lack of turbos in the exhaust stream means an unfettered sound straight out of the tailpipes. The power of the X5M borders on ridiculous, but I think I’d be more than okay with what the Jeep can do. 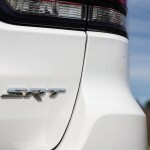 Subjectively, I also think the Grand Cherokee SRT looks better than the X5M – especially in white. The black-on-white contrast really works for me. This brings us to pricing. 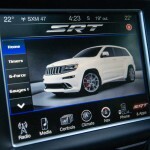 The Grand Cherokee SRT is a relative bargain, starting at only (and I emphasize the only) $65,995. 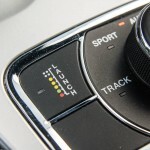 Even that this price, the Grand Cherokee SRT is very well equipped, with full leather (and those ventilated front seats), power everything (including power tilt steering wheel), and satellite navigation in the excellent Uconnect system – among other things. 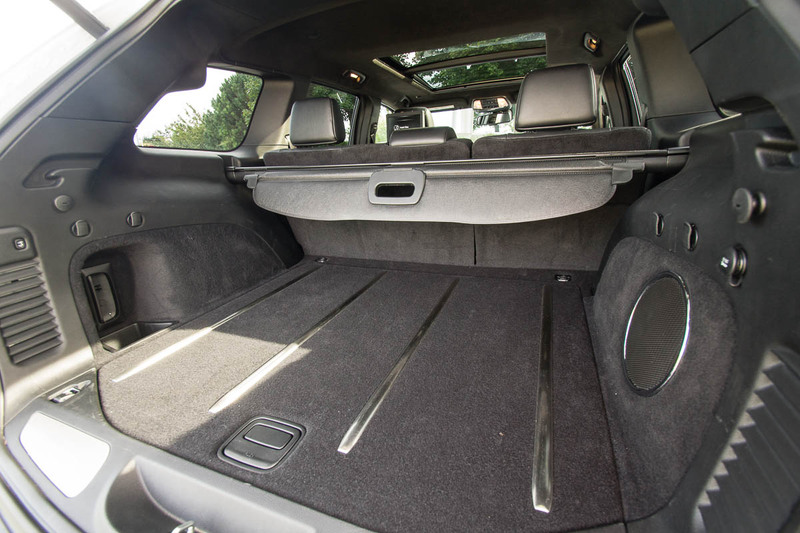 My particular tester adds the aforementioned rear DVD entertainment system ($2,150) and the “Luxury Group II” package ($3,295), consisting of adaptive cruise control, forward collision warning, blind-spot and cross-traffic alerts, and some more leather pieces. The $1,995 “SRT High Performance Audio” package bumps the speaker count to nineteen, and the $1,695 dual-pane panoramic sunroof brightens up the interior. The 20-inch “Black Vapour” dark-chrome forged aluminum wheels do a good job adding contrast to the overall look of the truck. 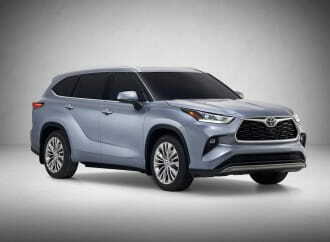 All in, you’re looking at $79,715 as-tested, before taxes. To put it in perspective, the BMW X5M, with some options, stickers at around $120,000. The upcoming Mercedes-AMG GLE63 and the Porsche Cayenne GTS both start at around $110,000 (the latter giving you a turbo V6 instead). 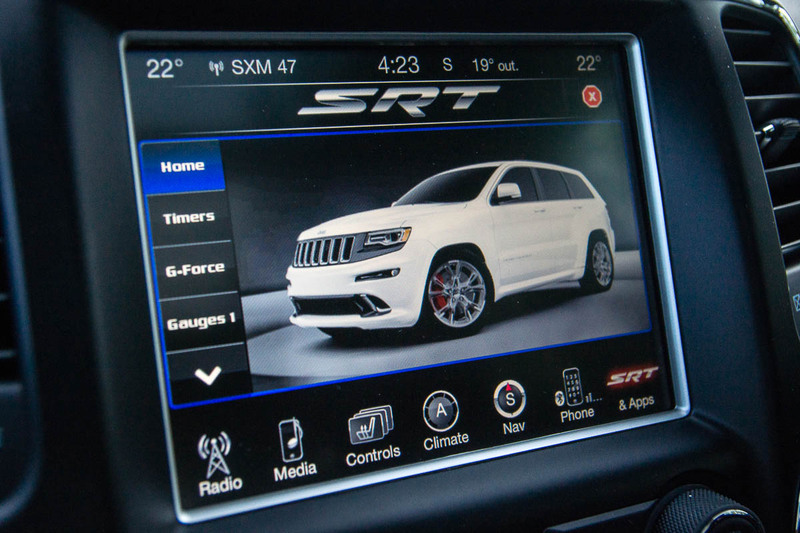 It’s easy to see the value proposition (relatively speaking, of course) behind the Jeep Grand Cherokee SRT. 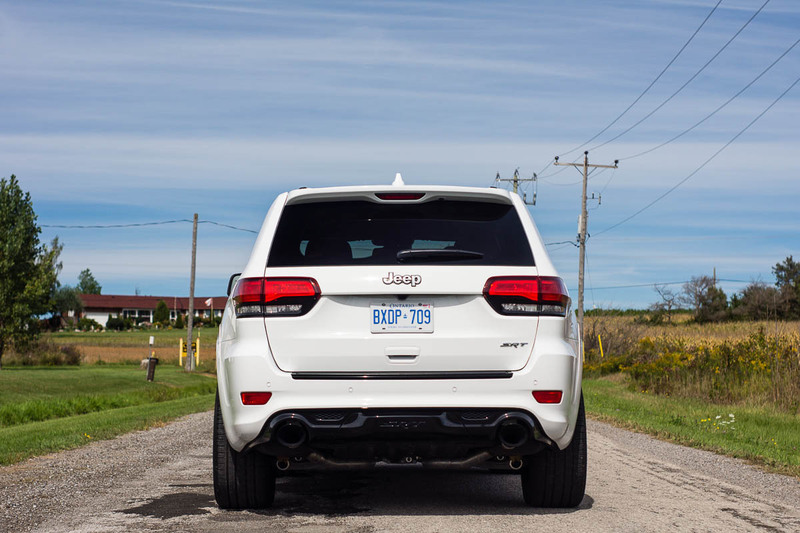 It doesn’t quite have the nameplate nor the heritage (Jeep has never really been a part of the on-road performance game), but it makes up for all that in providing the most displacement, fantastic sounds, great looks, and nearly all the amenities that the German players offer. The simple fact that it comes in at nearly $40,000 less is absolutely worth thinking about. My colleagues in the DoubleClutch.ca office know me for prioritizing agility rather than outright speed. Some of them prefer big horsepower, some prefer the usability of the SUV package, and some of them prefer outright luxury. I like my cars to be “right-sized”, with enough power and involving enough to make the daily grind tolerable. 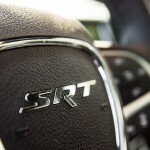 The Jeep Grand Cherokee SRT, surprisingly, manages to combine a lot of those positive attributes all into one package. There’s little reason why a truck that carries this much mass should handle the way it does. It’s the way it hustles and defies physics is what makes it so much fun. 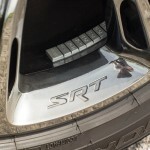 The most obvious downside is the fuel consumption, but if you’re looking for one vehicle to (mostly) do-it-all, in this type of package, the Grand Cherokee SRT is one of the better tickets around.